What’s New for 2018 ? 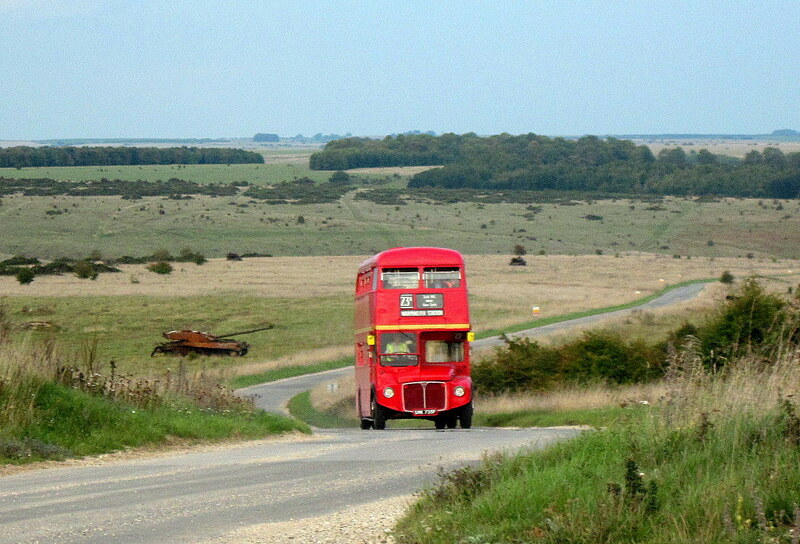 In 2009, a group of bus industry professionals achieved a long standing ambition to run a vintage bus service from Warminster in Wiltshire, to the abandoned village of Imber on the Salisbury Plain. It proved to be so popular that it has now become an annual event, with most journeys continuing across the Plain to parts of Wiltshire rarely seen by ordinary public transport users. with several London Transport Routemaster buses (plus a few newer ones) providing a bus service from Warminster Station to Imber and to other isolated locations on the Salisbury Plain. As the buses will be operating an ordinary bus service, there is no need for passengers to book in advance – just turn up and pay the conductor on the bus. We will be providing more information about this year’s service on this website during the summer and you can keep up to date with our plans by adding your name to our mailing list – just insert your email address into the “Keep up to date” box on the top right hand side of this page, or click the “+follow” button at the bottom of your screen. In the meantime if you want to see what arrangements applied to our 2018 event please click here to visit the Imberbus 2018 page. You can also find out more information about Imber and Imberbus by checking out the other pages on our website, using the black menu bar at the top of this page. If you wish to contact us, please fill in the contact form on the right hand side of this page or visit our contact page . If you can see anything below this line, it is an advertisement and is not related to our event, so please ignore it. Please enter your email address here to receive email notifications about our event. Want to ask us a question about Imberbus ? and cannot find the answer on our FAQ page, then please click HERE to fill in our enquiry form. However if your question is about hiring one of the Imber buses, then please click here to visit the Bath bus company website instead.